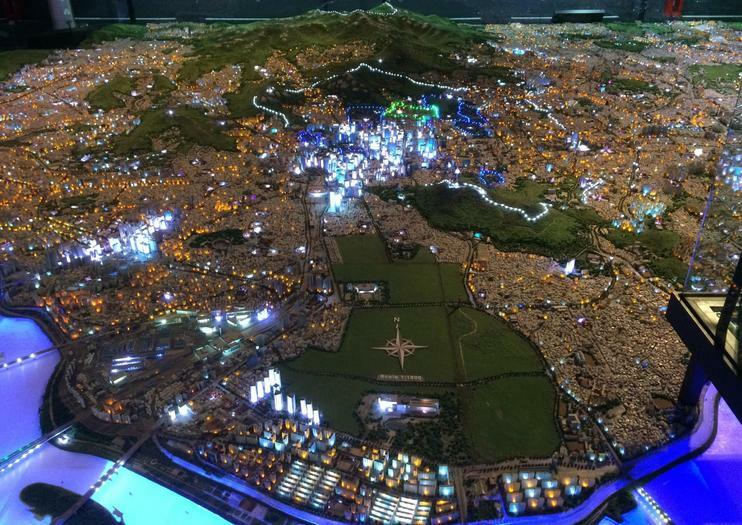 Exhibits at the Seoul Museum of History, which documents the history and culture of Seoul and its people, include a large-scale model of the city and numerous relics from the Joseon dynasty. The museum also hosts themed temporary exhibitions and stages workshops and musical and cultural events. The permanent collection at the Seoul Museum of History is divided into five themed galleries: the Joseon Capital, Capital of the Daehan Empire, Seoul Under Japanese Control, the Period of Rapid Growth, and Seoul Now in the Making. Many walking tours of the city include a visit to the free museum, including museum tours with stops at the National Museum of Korea and Leeum Samsung Museum of Art as well. For a more comprehensive look at the history and culture of the South Korean capital, take a walking tour that combines a museum visit with stops at some of the nearby Joseon dynasty palaces. The Seoul Museum of History offers an excellent introduction to the city’s heritage for first-time visitors. Informational placards are in both English and Korean, and you can pick up an audio guide in English, Japanese, or Chinese. The museum is wheelchair-accessible, and wheelchairs and strollers are available for rent. To get to the museum, take the Seoul Subway line 5 to Gwanghwamun Station. From there it’s about a 7-minute walk to the entrance. Several public buses also stop nearby, and parking is available for drivers. The museum is open from Tuesday to Sunday throughout the year, with reduced weekend hours between November and February. The Seoul Museum of History offers a variety of programming geared toward foreign visitors to the city. A lecture series covers topics spanning Korean art, culture, and history (past topics have included Korean Buddhism in the World, A Journey Through Korean Art, and the Roots of Korean Literature), while hands-on workshops cover everything from Korean temple cuisine to drinking traditions. Oplev Seouls sammensmeltning af antikke traditioner og hurtig modernisering, mens du slår ned byens gader på denne 3-timers vandretur i den travle storby. En lokal guide afslører skjulte skatte og foretrukne lokale hangouts, fra templer til teashops. Besøg historiske seværdigheder, herunder Gyeonghuigung Palace og Bosingak Bell Pavilion. Tal er begrænset til 12 deltagere til en mindre gruppe oplevelse. Dette er en tur, som besøgende kan nyde moderne og nutidige Seoul-område og kultur og historie af 7080's Seoul. Efter at have lyttet til forklaringer om fødslen og forandringen af Seoul i Seoul Museum of History, besøger folk SEMA Bunker, Seoul Battleship Park, Oil Tank Culture Park og 63 Building. I modsætning til sædvanlige Seoul Tours, der fokuserer på Joseon-perioden, viser denne tour moderne og nutidige Seoul, som lige før Seoul er nu, samt den kolde krig æra Seoul på grund af sin division. Til frokost besøger folk Mapo-svinekødsbro, hvor man betragter favoritrestauranten af kontorarbejdere i Mapo-distriktet. Besøg tre af den sydkoreanske hovedstads mest imponerende museer på en dag på denne 4-timers vandretur i Seoul. Rejs gennem Seoul ved minivan med aircondition, som en guide, kaster lys over byens forskellige museer og gallerier. Under din tur, besøg Koreas nationalmuseum - landets flagskibsmuseum - Leeum Samsung Museum of Art og Seoul Museum of History. Delver i Sydkoreas farverige Joseon-æra historie, beundre historiske og moderne kunstværker fra hele halvøen, og se en side til landet mange besøgende savner.